What will I find in Single Serves? Too often our weight loss surgery clients talk about trying to navigate their way through the enormity of online recipes and the latest on trend recipe books, wondering if they even suit their post surgery needs..
Left feeling confused, they turn back to their trusty, ‘safe’ foods like cheese and crackers, yoghurt, tuna, eggs, mince – the list goes on. They feel trapped in an eating ‘ground hog day’. 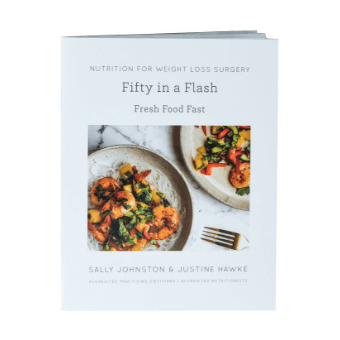 Justine knew there had to be a better way, so she combined her love of cooking with her intimate understanding of your needs following weight loss surgery to produce a recipe book just for you. There is no one better qualified to write recipes for you than a specialist weight loss surgery dietitian, nutritionist and true foodie! As a bonus, the majority of these ‘Single Serves’ are perfect to freeze, making it easy to be organised and always have a meal on standby, ready to go. Egg Muffins: Bacon, Mushroom & Tomato, Smoked Salmon, Cream Cheese & Dill. Get your copy today in our online store! And before you go, please grab one of our FREE Weight Loss Surgery Toolkits.